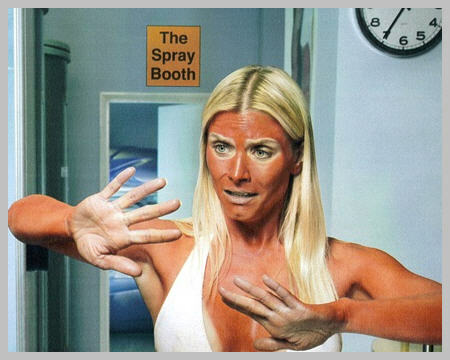 So you’re thinking about getting a spray tan, but let me guess… you’re scared! Well I can see why, there are so many options out there and it can become very intimidating. I can confidently tell you that at Chameleon you can have no fear! Here are a few tips to get you started. ~ We carry only the best so you get the best. ~ Wait, you don’t want to look ORANGE?! The first thing most new spray clients voice to me is they don’t want to appear orange. The solution never looks this way. It always comes out bronzy and beautiful. When it’s first sprayed, you will notice the actual bronzer in the solution on your skin. 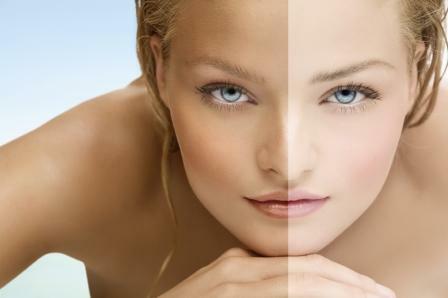 After its taken full affect (about 6-8 hours) you can then shower off the bronzer and be left looking the shade of tan you have chosen. Chameleon has sprayed 1000’s of clients and not one of them has turned orange. To insure the best results there are a couple of steps you may want to take at home. Make sure to exfoliate before you get sprayed. Getting rid of dry, dead skin cells will make for a more even pallet. If you have really dry skin you may want to take extra steps by moisturizing and exfoliating everyday starting a week before coming in. The day of you don’t want to have any barriers on your skin, ex: moisturizers, deodorant, make up. Chameleon spray tans are done by our female spray technicians. Our female clients may wear a bathing suit or can decide to be sprayed without any clothes. Male clients must wear swim trunks. Remember after you get the tan you can’t get wet for at least 6 hours. This means no gym, no washing your hands, nothing! Keeping moisturized with Norvell Pro-long will extend the life of your tan and keep it looking even. Are you ready to get sprayed? Hopefully this has eased your worries and you are excited to step out of those unhealthy beds and into a much improved option. Just remember you can always call us if you have more questions.